The National Thoroughbred Racing Association (NTRA) announced today that Canterbury Park in Shakopee, Minn., has earned re-accreditation from the NTRA Safety and Integrity Alliance. The re-accreditation followed a complete review of all racing operations at the facility. 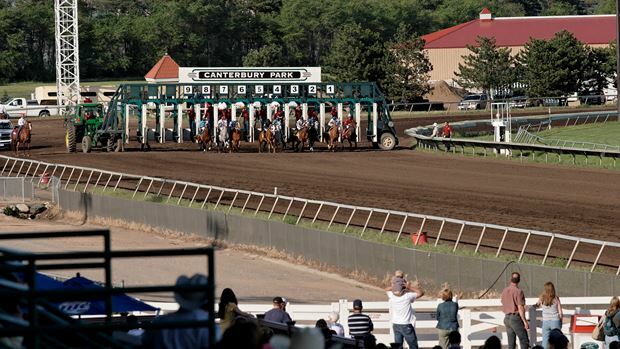 Canterbury Park received its initial Alliance accreditation in July 2010. All accreditations and re-accreditations carry an effective period of two years. Canterbury Park is the 17th Alliance-accredited racetrack to earn re-accreditation, joining Aqueduct Racetrack, Arlington Park, Belmont Park, Betfair Hollywood Park, Calder Casino and Race Course, Churchill Downs, Del Mar Thoroughbred Club, Fair Grounds Race Course & Slots, Golden Gate Fields, Keeneland Race Course, Monmouth Park, Pimlico Race Course, Santa Anita Park, Saratoga Race Course, Turfway Park and Woodbine. The re-accreditation of Canterbury Park was the culmination of a lengthy certification process that began with the track’s completion of a 48-page written application and continued as Canterbury hosted several meetings with Alliance officials. The on-site review included inspections of all facets of the racing facility, with special attention paid to areas that were newly added to the Alliance’s Code of Standards in 2011 and 2012. Such areas containing new or more stringent requirements include wagering security, race day security, Model Rules pertaining to Furosemide administration and Phenylbutazone threshold levels, injury reporting, post-mortem veterinary inspections, jockey health and safety, paddock safety, aftercare/transitioning of retired racehorses and cross-jurisdictional sharing of vet’s list data. Interviews were also conducted with track executives, racetrack personnel, jockeys, owners, trainers, stewards and fans. The inspection team was comprised of Ronald Jensen, DVM; racing official Richard Lewis; Mike Kilpack of the Organization of Racetrack Investigators (ORI); and Mike Ziegler, Executive Director of the NTRA Safety and Integrity Alliance. During the latest Alliance inspection of Canterbury Park, best practices were identified in areas including post-race veterinary examinations; post-mortem veterinary examinations; veterinarian’s list maintenance and sharing; use of cushioned riding crop; substance abuse and addiction programs; safety training and continuing education programs; catastrophic injury planning and procedures; infectious disease management; fire safety planning and procedures; paddock safety protocols and procedures; safety committee; veterinary care; uniform medication rules and penalties; exogenous anabolic steroids testing; shock wave therapy protocols; frozen sample testing; laboratory quality assurance program; security training; random inspections of testing barn; medication and testing education committee; assigned jockey weight supervision; jockey qualification protocols; and wagering security protocols, including timing display and synchronization compliance, cancel delay elimination, wagering incident investigation protocols and wagering pool due diligence. Canterbury Park is one of 22 racing facilities currently fully accredited by the Alliance. Others are Aqueduct Racetrack, Arlington Park, Belmont Park, Betfair Hollywood Park, Calder Casino and Race Course, Churchill Downs, Del Mar Thoroughbred Club, Fair Grounds Race Course & Slots, Finger Lakes Casino and Racetrack, Golden Gate Fields, Gulfstream Park, Keeneland Race Course, Kentucky Downs, Monmouth Park, Pimlico Race Course, Santa Anita Park, Saratoga Race Course, Suffolk Downs, Sunland Park, Turfway Park and Woodbine.